I haven’t written many blog posts in the past year. One, I struggled with finding the time. I know shocker right with two young children, career, and doctorate. The other reason though is I was dealing with an internal battle. I struggled with the line between upbeat and positive posts and how much to share of the harder and tougher posts. 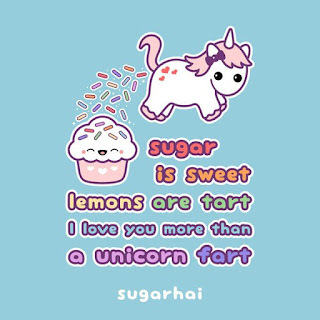 Another way to compare it, would be unicorns or also sometimes referred to as unicorn farts. Sure, I’ve shared my fair share of poop stories, after all I am the mother to two boys. But I’m not sure I’ve ever written about farts. However, the unicorn holds a special place in many of my fellow Rockin’ moms. If you want to read of another blog post about the significance of the unicorn click here. The following is my explanation. To explain, right after Kaleb’s diagnosis I would get online and I would find many uplifting and inspirational stories of parents talking about how quickly they came to terms with a Down syndrome diagnosis, how it is the greatest thing in the world, and everything is essentially rainbows and unicorns. Some, more eloquently refer to it as unicorn farts. I liked these stories, I wanted desperately to believe them, I held on to this hope that they were true, but I wasn’t sold. Others like I was in the beginning and especially others outside of the Down syndrome adventure, have a hard time believing this and view it as people who spout off this nonsense must either be lying or in denial. In other words, these unicorn farts are just that, simply nonsense and a nice spin on Down syndrome. In their mind, they believe that these unicorn farts, call them or color them what you want, but in the end it all comes off crap. Trust me, there is crap involved. A lot of it being our own insecurities, the world’s perception of different, mixed in with the chance of increased medical issues, longer wait times for milestones, and the need for a little more patience. I was also afraid that by sharing some of the hard parts of Down syndrome and his other health issues it would highlight the difficulties and not the amazing, albeit ornery, little boy he is. Because most parents will tell you that that extra chromosome will teach them so many extra life lessons that they wouldn’t have learned any other way. So many do this primarily sharing the sunshine, rainbows, and unicorns; myself included. 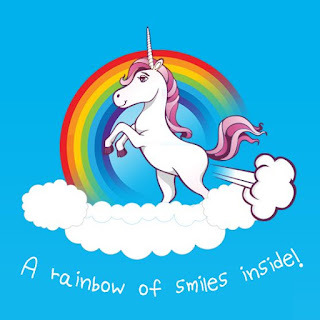 I began to realize my posts were becoming all sunshine, rainbows, and unicorns. I saw it. I also felt bad, because I realized I began to wait to write until I could put the positive to it. Then by life being life and being hard, I didn’t write. By doing this I wasn’t sharing the whole story. I believe there needs to be a combination. In fact what good is the positives and good, if not for the hard parts? It really started being put on my heart that in order to really share our journey that I needed to get back to sharing all of it. I believe there is beautiful in the messes of life. That it is in the mess of life that we often find life’s messages. You can’t even spell messages without the word mess in it. No mess, no message. This is me getting back to writing and sharing our stories. So here are life’s MESSages. The good, the bad, the ugly. The unicorns and the unicorn farts. I will share the times that seem all sunshine, rainbows, and unicorns farts; as well as the days those unicorn farts are more stinky than glittery.